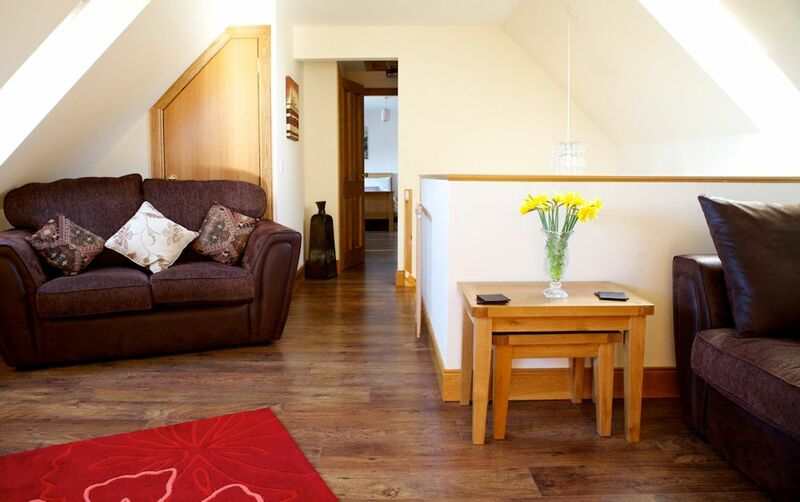 The Granary at Horslea Farm offers cosy self catering accommodation just 7 miles south of Perth at Forgandenny. This holiday cottage can sleep up to 6 people and is one of two cottages on the farm that have been converted from steading buildings. This is an idyllic country retreat where guests can enjoy the delights of the beautiful surrounding Perthshire farmland, stunning views of the Ochil and Sidlaw Hills and the Strathearn Valley. This is a great location for a peaceful & relaxing holiday, or for the more active, cycling or walking the Core Path Network or golf at the many local courses. Horselea offers you the opportunity to bring your horse on holiday and explore the area on horseback, use the facilities at the neighbouring livery yard or graze at the farm.